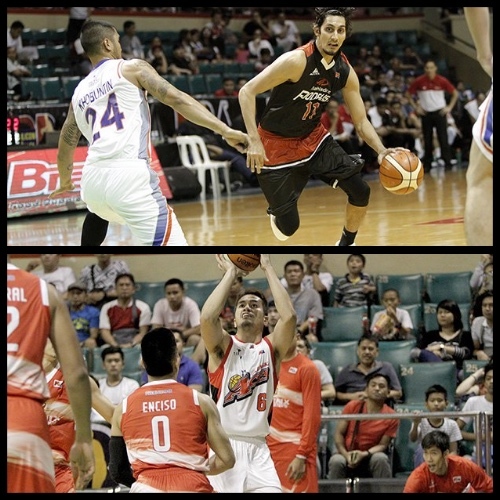 The race for playoff seats in the 2016-2017 PBA Philippine Cup continued to heat up this past Friday as Mahindra and Alaska got big wins. Alex Mallari fell one assist shy of a triple-double as the Mahindra Floodbuster registered their third victory after rolling past the NLEX Road Warriors, 106-96, in the clash of already-eliminated teams in the Oppo PBA Philippine Cup Friday at Cuneta Astrodome. Mallari tallied a career-high 30 points to go along with 10 rebounds and nine assists for an all-around effort for the Floodbuster who improved to 3-7. Alex Mallari (MAH) - 30pts, 10rebs, 9asts, 3stls, 1 triple. Eric Camson (NLX) - 17pts, 6rebs, 2asts, 1stl, 2 triples. The Alaska Aces walloped the Phoenix Fuel Masters, 106-85, to bolster their bid for a twice-to-beat ticket in the Oppo PBA Philippine Cup Friday night at Cuneta Astrodome. The win helped the Aces (6-4) clinch a quarterfinal spot and move a step ahead in the race to the second spot currently contested by seven teams, namely Alaska, TNT, Phoenix, Star, Ginebra, Rain or Shine and GlobalPort. Vic Manuel dropped 21 points and grabbed seven boards while Kevin Racal made 20 markers to lead Alaska to its second straight win. Kevin Racal (ALA) - 20pts, 6rebs, 3asts, 2stls, 2 triples. Matthew Wright (PHX) - 18pts, 8rebs, 4asts, 1stl, 1 triple.